LA JOYA, Texas — The National Guard is now descending on the South Texas border. It’s part of a law enforcement surge called Operation Strong Safety. Governor Rick Perry ordered the mission to confront the never-ending flow of illegal drug traffic headed north from Mexico. Working in law enforcement along the South Texas border is anything but boring. On a sizzling August afternoon, a Chevy sedan crashed into a sign post across the street from La Joya Junior High. Cop cars surrounded the scene. A handcuffed teenager ducked into the back of squad car as plain clothes officers heaved bundles of marijuana into the back of a pickup truck. Sgt. Bryan Witt of the Texas Department of Public Safety explained it was a routine traffic stop turned drug bust. “The vehicle evaded, and the driver started throwing bundles out the window,” he said. Witt had only been in South Texas a few days. He’s part of Operation Strong Safety. Along U.S. Highway 83 in Starr County state troopers like him are posted at about every three miles. “One of the reasons DPS is down here to help arrest these criminals hauling dope into the United States. Also (they’re) smuggling humans in,” he said. 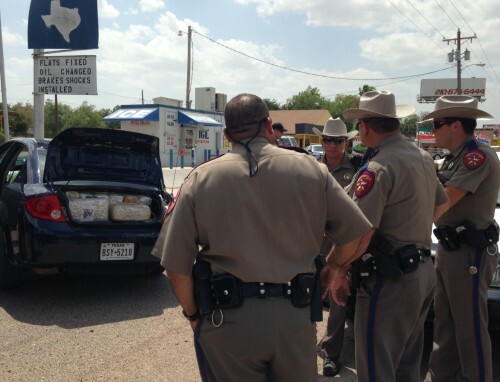 The South Texas border is currently the busiest corridor for illegal crossings in the nation. More than half of all immigrant arrests happen here, at an average of 400 per day. Add to that a wave of more than 63,000 Central American children who have crossed the border since October. All this has overwhelmed federal and local law enforcement. Villarreal welcomes the extra sets of eyes. Smugglers, he said, are tricky and try to blend in. He recalled one year when a group of illegal border crossers landed in a grocery store parking lot. They wore red shirts and blue jeans to match the uniforms of the store workers. Now one thousand National Guardsmen are deploying to work side-by-side with local, state and federal agencies. They’ll help deter crime through surveillance, but can’t legally arrest anyone. Their presence will cost the state an estimated $17 million a month. Hidalgo County Judge Ramon Garcia said that’s too expensive and thinks it’s the wrong response. “When you militarize this area, you are sending out a certain perception that this is a high crime area when in fact it’s not,” he said. Garcia’s seat is in the city of McAllen, which has an overall violent crime rate lower than the national average. But Sam Miranda, who is the interim head of the FBI in McAllen, said it’s not that simple. Statistics, he said, don’t tell the whole story, particularly when it comes to drug cartel activity. “That you see a lot of violent crime or a lack thereof doesn’t mean that the cartels are not integrated into your community,” Miranda said. Some examples: In 2011 an alleged Gulf cartel leader was stopped by police on his way to South Padre Island where he owned luxury property. This August sheriff deputies in Willacy County stumbled into a two acre pot farm. The month before former Hidalgo County sheriff, Lupe Treviño, pleaded guilty to accepting campaign money from a convicted drug trafficker. “That’s like an iceberg, most of the ice is underneath the water,” Miranda said. “He said, ‘If you think I’m the only one that’s like this down here, you are crazy. There’s more houses down here. More than what I have today,'” Solis said. Investigators know this is nothing new. Total drug seizures in Texas have held steady in the last four years. But Graciano Gamino, who heads the Hidalgo County Sheriff’s narcotics unit, said this problem is best confronted by local law enforcement, not the National Guard. “Those resources and that money can come our way. To buy equipment, training, have more personal on the streets,” Gamino said. Back at the drug bust in La Joya, mother Yvette Treviño looks on as the swarm of cop cars leaves the parking lot in front of her brother’s muffler shop. However, many locals agree the extra police won’t stop illegal traffic, just push it to some other spot along the nearly 2,000-mile long border. 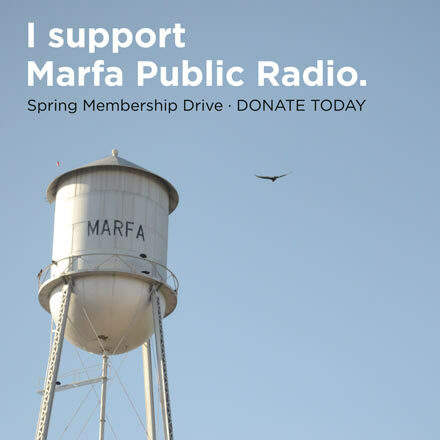 This story was reported by Mónica Ortiz Uribe, in collaboration with Fronteras, The Changing America Desk, a consortium of NPR member stations in the Southwest. This entry was posted in KRTS News and tagged Border Security, Drug Trafficking, Fronteras Desk, Governor Rick Perry, Immigration, Law Enforcement, National Guard Border Deployment, Texas DPS, Texas National Guard, Unaccompanied Minors. Bookmark the permalink.